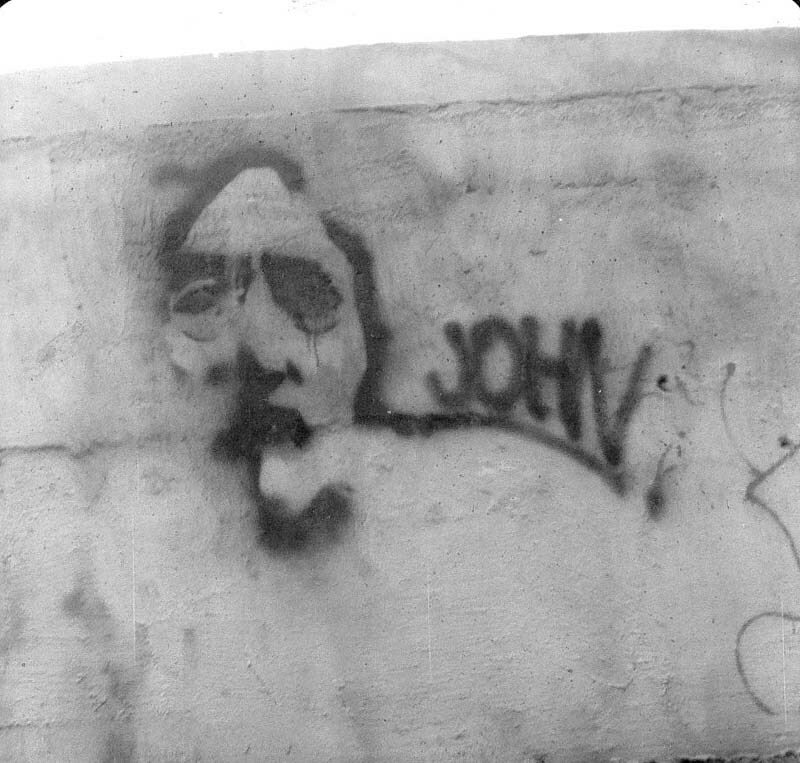 (Beatle) John Lennon's face on a wall behind NYC's Metropolitan Museum of Art in Central Park. It was the day after Lennon was murdered (1980) and there was a vigil in the park. Roughly 3 feet (1m) x 2 feet wide.